Sorry, I know that I’ve been a little AWOL lately. An international move will do that to you. I’m finally starting to settle here, though. My family and I left the UK on September 1st. (Yea, that’s three days BEFORE my Msc dissertation was due…no stress.) We endured a hellish 20 hours of travel, two connections, three airports, whinny kids, and just plain exhaustions…but we made it onto US soil at last. We’ve bought a car, a house, and I’m currently working on finding all the household accouterments (and hopefully not bankrupting us in the process). We came back with four suitcases to our name. It’s really expensive to ship things internationally, so unless there is some sentimentality attached to an item it gets bought anew. Some of those sentimental things, including my books, will follow at some point in the near future and I can’t wait. Amazingly, shopping isn’t anywhere near as much fun when it’s out of necessity. My reading time has been whittled down to almost nothing and I don’t even have a desk to write on at the moment; though I recently saw an amazing cherry one that I would love to buy if it just didn’t cost $2800.00. My literary life has gone into a coma and I’m a little devastated by that. I’m hoping to change the situation soon. I still have reviews due and the sequel to The Weeping Empress is lurking in the back of my mind, waiting to be attended to. I just wanted to let everyone know I was still alive and kicking, even if I’m not online as often as normal. Miss you all. This entry was posted in personal and tagged international move, life, update on September 29, 2012 by Sadie. 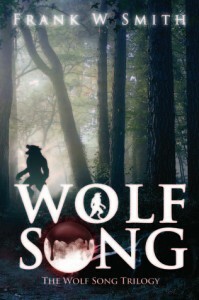 Author, Frank W. Smith, sent me an ecopy of his werewolf vs. vampire novel Wolf Song (Wolf Song Trilogy #1) . One decision may save a life, but a single death can start a war. The vampires and werewolves have lived in a strained co-existence with one another for centuries. They have their territories. They know their boundaries. All this comes to an abrupt end when one reckless vampire ignores the rules that have been followed for ages. Wolf Song is religious fiction at its best, when you don’t realise it is. When the burly werewolf, Jon, kills a vampire in an attempt to stop an innocent bystander from become dinner, he unwittingly starts a supernatural war. On the surface this book could be read as the old vampires versus werewolves tale. Look a little deeper and you’ll find notable similarities between vampire and demons (as seen by Christianity). The werewolves look a lot like men fighting the daily temptation to give in to their baser desires and then there are the ‘crows.’ A Catholic sect dedicated to protecting humanity from the demonic influences and willing to work with and save as many werewolves as possible. Anyone else seeing the religious correlations? Yea, me too. I can’t know that this is what the author intended…well, I guess I could ask, but I haven’t, so I don’t. I felt it was pretty clear tough. I’m not particularly religious, but i still really enjoyed the book. I acknowledge the underlying theme, but never felt proselytised to. Those characters meant to be likeable were likeable (I was especially fond of The Horseman) and those that were meant not to be weren’t. There were few grey characters. You pretty much knew where everyone stood at all times. The ‘vampires bad, werewolves good’ was maybe a little heavy-handed, but not nauseatingly so. The writing was clear and easy to follow. There were a few 10 gallon words and you might as well look ‘umbra’ up before hand. You’ll need to know it. But I always enjoy writing that has a little vocabulary enhancement to it. This is a plus for me. Not everyone likes it, so just go in knowing and all should be ok. While maybe not the feel-good book of the year, Wolf Song is well worth reading. This entry was posted in books/book review and tagged book review, religious fiction, vampire, werewolf on September 19, 2012 by Sadie. Author, Wynne Channing sent me an copy of What Kills me. I’m so greatful, ’cause I really enjoyed it. What Kills Me was a pleasure to read. The very beginning left me wondering if ‘Zee’ was going to be one of those ultra goody-two shoes that are simply too pure to stomach, but she wasn’t. I liked her immensely. She was strong, without being cold; sarcastic, without being irreverent; and vulnerable without being a snivelling weakling in constant need of protection. Don’t get me wrong, she needed protecting, but she wasn’t one of those useless female leads who just flails about waiting for the hero to do all of the work. The hero, by the way, is also fabulous. Lucas is just as strong as you would expect him to be, but shows a surprising depth of emotion, despite his gruff exterior. Yummy! What I loved most, however, was the witty repartee between the two of them. It was done very well and I think warranted five stars all by itself. It was often used to lighten a tense moment, without making either character appear oblivious to danger or overly flippant. I did think Uther’s timely arrival there at the end was a little too convenient, but by that point I was so afraid the whole thing wasn’t going to wrap up and be a cliff-hanger that I has too happy to care. 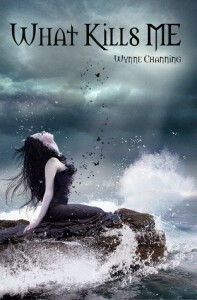 After reading the book and Channing’s bio I have to admit to feeling a little inadequate. Apparently she is an awesome writer with an awesome job. I would ask how any one person could be so lucky, but it would be naive to think that there is no connection. I am definitely up for reading another of her novels in the future. This entry was posted in books/book review and tagged book, book review, vampire on September 9, 2012 by Sadie.